Have you voted? Our own president, Peggy O’Kane, is among the scores of health care leaders nominated for Modern Healthcare’s 100 Most Influential People in Healthcare list. First, let me tell you how to vote for Peggy, since finding her name on the list of nominees involves an extra click or two. Modern Healthcare listed the nominations in alphabetical order, and O’Kane is, of course, in the middle of the alphabet. So, make sure to click through to the second page to find her name. It boils down to our vision here at NCQA and Peggy’s contribution to making that vision a reality. Our vision: To transform health care quality through measurement, transparency and accountability. 25 years ago, those terms were for the most part foreign to the healthcare field. 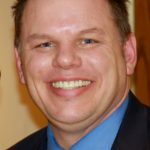 Today, they are not only commonplace, but drive improvements in everything from measuring cholesterol medication adherence to validating that health care data is handled appropriately. It’s amazing when you think about it. Peggy’s had a hand in it all. Just check out the 25 for 25 blog posts we put together in 2015 to mark NCQA’s 25th anniversary. NCQA’s accomplishments are Peggy’s accomplishments. Certainly, in that quarter of a century, few people have influenced the health care system more. So, Peggy clearly meets the standard of “most influential”, but that’s not the only reason to take the time to vote for her. These are complex times in health care. The system continues to evolve rapidly. Political and regulatory winds blow in changing directions. We believe the abiding concept in every evolution should be improving quality. A Vote for Peggy is a Vote for…. So, a vote for Peggy is a vote for preserving the quality of health care. It’s a vote for measurement to set benchmarks for better. It’s a vote for transparency—sharing the methodology and results of measurement to collaborate for better. It’s a vote for accountability to assure that practices and health plans meet the needs of people and continuously pursue better. We know that is a hefty agenda. We’re working on it. Pursuing better, because Peggy O’Kane. Happy to vote for Peggy; one of the best in this or any field to which she puts her mind and passion. An innovator and inspiration to others in the healthcare field and out. Thank you for the quality information you write each day to keep us informed and educate us on the different topics and changes in health care. We are better because of your hardwork. Peggy and her team at NCQA set the national standards for quality and for practice transformation. Without a “true north” to navigate the QPP future, we would indeed be lost! 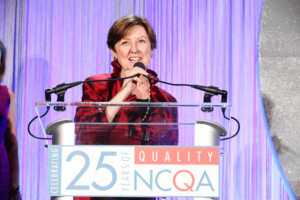 So proud of my CEO’s and NCQA’s accomplishments in health care quality!